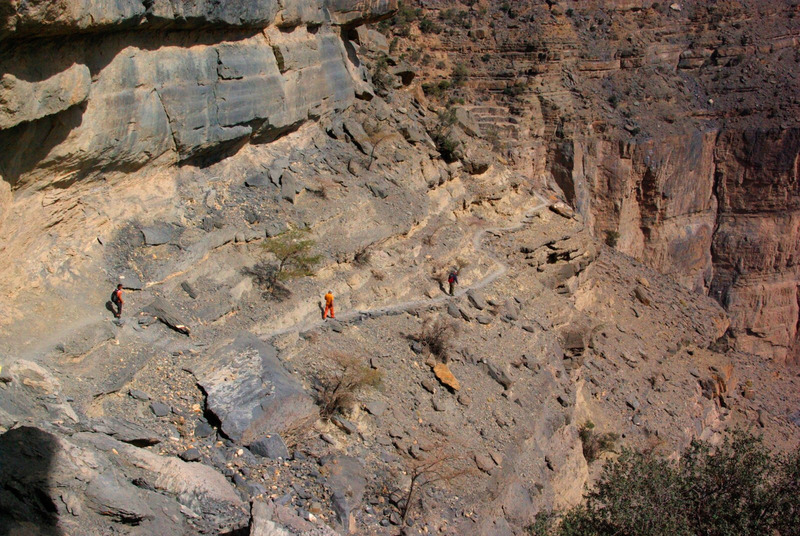 Jebel Shams Resort is just a few minutes from the 3 x main trekking routes on Jebel Shams and it's famous, "Grand Canyon". 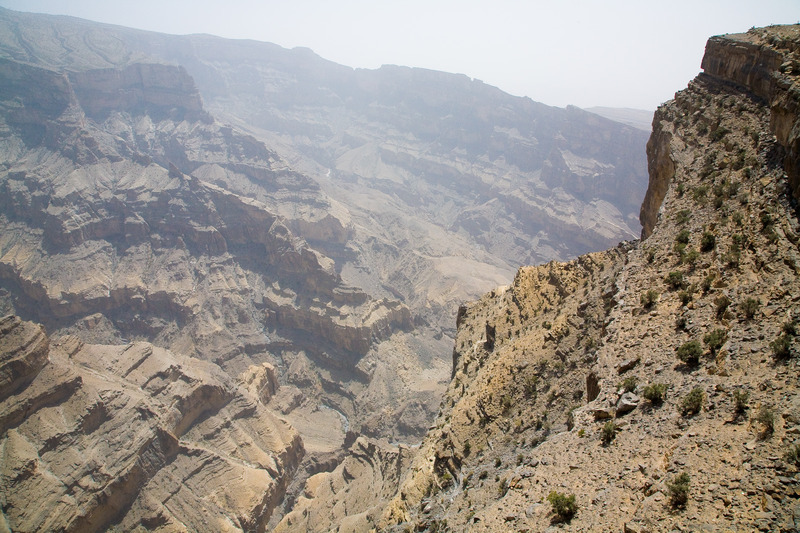 The trekking on the mountain ranges from 3 hours duration to 12 hours to the summit. 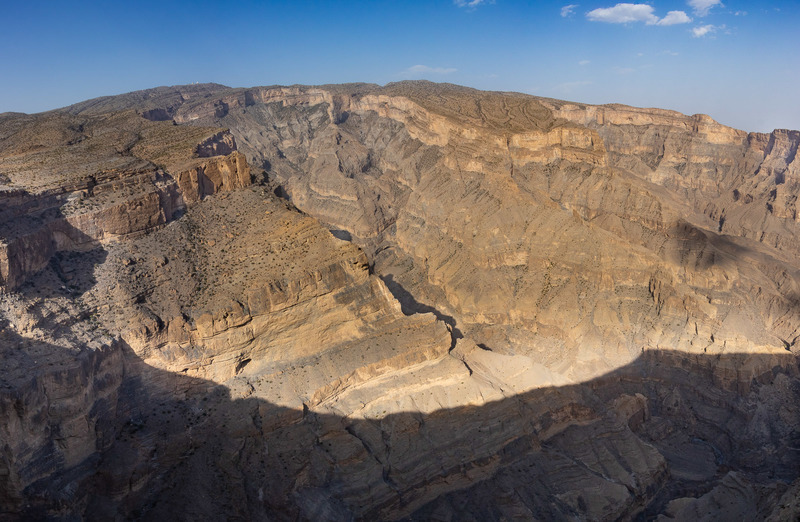 Jebel Shams or "Sun Mountain" offers specatcular views and has an ideal climate all year round even in summer, rarely exceeding 32 degrees. Access to the resort is recommended bt 4 x 4 vehicle, but can be accessed by saloon car as long as there has been no recent rains. The drive from Muscat takes about 2.5 hours. From Muscat take the main Nizwa highway and at Nizwa follow sings for Bahla and Al Hamra. Once you have reached Al Hamra, take the road running left past Al Hamra Shell Petrol Station. Keep going straight and you will start to climb the mountain. Most of the road is tarmac, with a 7 km middle section, which is off road. Use this relief map to navigate to mountain peaks in the area of Jebel Shams.